This little ball of joyful fur comes from Ange. And yes, please keep sending me these little rascals for Fridays. It’s always nice to see them. 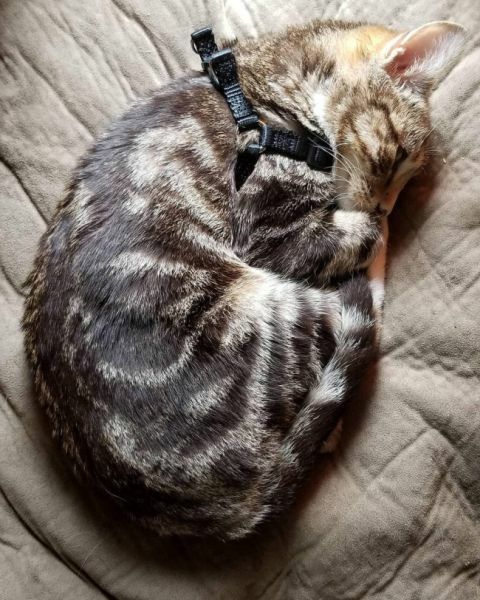 Photo update of my friends’ kitten named Pants. I’m still not sure she’s gotten any bigger but she’s still so damn cute. Last time you saw her she was able to sit inside a purse. My friend said.. “she looks like she’s desperately holding onto a secret”.